Tabarro (cloak) is a type of loose garment that is worn over clothing and serves the same purpose as an overcoat; it protects the wearer from the cold, rain or wind for example, or it may form part of a fashionable outfit or uniform. 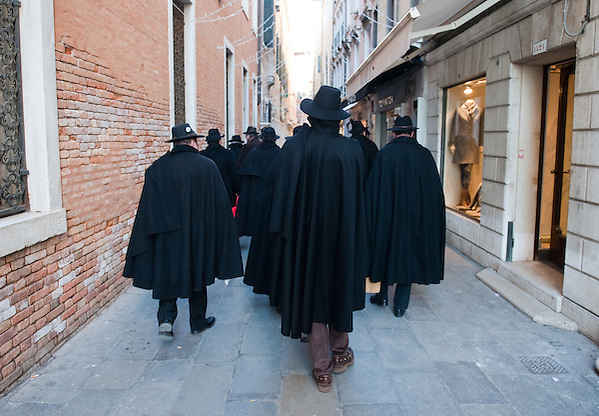 Cloaks are as old as human history; there has nearly always been some form of long, unstructured outer garment used to protect people from the weather. Over time cloak designs have been changed to match current styles and textile needs.Cloaks generally fasten at the neck or over the shoulder, vary in length, from hip all the way down to the ankle, mid-calf being the normal length. They may have an attached hood, and may cover and fasten down the front, in which case they have holes or slits for the hands to pass through. However, cloaks are almost always sleeveless.